Joseph Walsh, the son of John Walsh and Fanny Feeney, was born in Ballinrobe, County Mayo, Ireland on January 23, 1873. He immigrated to New York City in 1894 where he married Maggie Langan on May 14, 1895. Joseph Walsh and Maggie Langan had ten children all born in New York City: Elizabeth (1896), William (1897), Margaret (1899), Isabelle (1901), Joseph (1902), Charles (1904), Ellen (1906), Agnes (1908), Joseph (1910) and George (1913). Maggie Langan Walsh died in New York City in 1926. Joseph Walsh died in New York City in 1928. Joseph Walsh was born on the January 23, 1873 at Knockanotish, Ballinrobe to John Walsh, gardener, and Fanny Feeney. The birth was reported on March 8, 1873 by his mother Fanny Walsh. Some family members say that Joseph Walsh was a seventh son of a seventh son. The records that I have found show that he was the seventh child (but not the seventh son) of John Walsh and Fanny Feeny. However, I may have missed a record. I have very little information on Joseph's father, John Walsh. However, I believe that John had one at least one brother, Thomas. The legend of the seventh son of a seventh son is very old. Such a person was supposed to have curative powers, be a "maker of things", and have the powerful gift of "second sight". It is said in Ireland that the touch from the hand of a seventh son cures the bite of a mad dog. Joseph Walsh immigrated to the United States on the British Princess, which left Queenstown, County Cork, Ireland on May 17th, 1894 and arrived in Philadelphia on May 29, 1894. Joseph Walsh was listed on the ship's manifest as a 20 year old, single, male, in good mental and physical health, born in Ballinrobe, Ireland, able to read and write. He listed a brother, Michael, at 109 East 76th St, New York City as his nearest relative in the US and he said he paid his own fare. Joseph was traveling with his sister, Fanny Walsh, 18 year old, female (The rest of information is the same at Joseph's.). They are listed as having $2.00 in cash in their possession. Joseph and Fanny may have walked or taken a train from Ballinrobe to Queesntown. I assume they traveled from Philadelphia to New York City by train. Queenstown was the most popular port of embarkation for people leaving Ireland. Joseph Walsh married Maggie Langan on May 14, 1895 at the Church of the Epiphany, 239 East 21st Street, New York City. The witnesses were Bridget Langan and James Langan. The Rev. J. Lonargan officiated at the ceremony. Information was provided by the Church of the Epiphany; The marriage was not recorded in the civil records for New York City. Bridget Langan and James Langan were Maggie Langan's siblings. The church of the Epiphany is on the corner of 22nd Street and Second Avenue. The church Joseph and Maggie were married in has been replaced by a modern church. Unrecorded marriages before 1900 were very common. The Roman Catholic Church was particularly notorious for underreporting marriages. The church of the Epiphany was formed in 1868. Parishioners came from 18th to 24th street and from Broadway to the East River. The cornerstone of the church was laid in 1870. The church was dedicated in 1871. 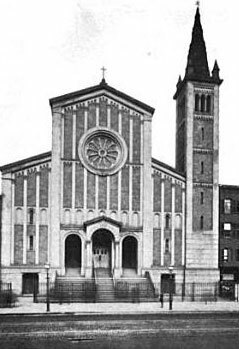 With it's Lombard facade, the church was unique in in New York City. It had a front of 65 feet on 2nd Avenue and a depth of 145 feet and could seat about 1,400. The foundation was Quiney granite and the superstructure was Ohio and Belleville sandstone. The cost was $150,000. A school, run by the Sisters of Charity, was founded in 1889. The parish became predominately Italian around the turn of the century. When, Where, and How did Maggie Langan and Joseph Walsh Meet? My mother, Agnes Goehle Land, told me "the family story" was Maggie and Joseph met on the boat coming over from Ireland. This is impossible, since Maggie immigrated several years before Joseph. Interestingly, it is apparently a very common story among Irish immigrants. There were local Irish societies in New York City where people went to meet others from their home county so they could trade the news from home, speak in the local language, and attend social events like dances. It is possible that they met at such a place and event. It is also almost certain that they knew each other in Ballinrobe. Ballinrobe was (is) a small town and both the Langans and Walshes lived in the same general area of the town. It is also almost certain that they were in school together in Ballinrobe. Civil Record: Elizabeth, also known as Lillian, was born on May 10, 1896 to Joseph Walsh and Maggie Langan. I could not find a birth certificate in the New York City Archives. Unrecorded births were not uncommon before 1900. The information on her birth was taken from Joseph's naturalization papers. Baptism: I have not found the baptismal record of Elizabeth. I wrote to Epiphany Church in the summer of 2000 regarding her baptism. They replied that they had no record. Marriage: Elizabeth M Walsh of 202 East 73rd Street, age 20, born in NYC, father Joseph Walsh, mother, Margaret Langan, married Edward J O'Neil of 365 3rd Avenue, age 21, candy maker, born in NYC, mother Mary Walsh, father, John O'Neil on November 11, 1916. The witnesses were Mary F Walsh and Thomas Grau---thy (Graubothy?). The pastor's address was 869 Lexington Avenue. This is the address of St. Vincent Ferrer - a Dominican church. The church is actually located on East 66th Street. According to the St Vincent Ferrer web site the church Elizabeth and Eddie were married in was dismantled in 1914 and a new church (the present church) was dedicated in May 1918. Edward AKA Buddy born circa 1921. No definite listing in the SSDI. Edward O'Neil, head, age 24, born in NYC, father born in NYC, mother born in Ireland, occupation, Tablet (?) maker, labour co?? Elizabeth, wife, age 23, born in NYC, father, born in Ireland, mother, born in Ireland, occupation, bookkeeper, office. There were five families in the building. Death: Elizabeth O'Neil died in New York City on October 11, 1938. Did Edward O'Neil have such an accent that the clerk thought he meant Iowa when he said Ireland? Elizabeth was buried in the same grave with her parents and two brothers, both named Joseph. "The disease is characterized by weight loss, muscle weakness, fatigue, low blood pressure, and sometimes darkening of the skin in both exposed and nonexposed parts of the body. Tuberculosis (TB), an infection which can destroy the adrenal glands, accounts for about 20 percent of cases of primary adrenal insufficiency in developed countries. When adrenal insufficiency was first identified by Dr. Thomas Addison in 1849, TB was found at autopsy in 70 to 90 percent of cases. As the treatment for TB improved, however, the incidence of adrenal insufficiency due to TB of the adrenal glands has greatly decreased." Death: Edward O'Neil. No definite listing in the SSDI. For more information and photos go to Lillie Walsh O'Neal now or at the bottom of the page. Baptism: William Walsh, the son of Joseph Walsh and Margaret Langan was born on July 21, 1897 and baptized on August 8, 1897 in Epiphany Church. The sponsors were Patrick Langan and Cecilia Brennan. Information provided by Epiphany Church. Patrick Langan was Maggie Langan's brother. Who was Cecilia Brennan? There were Brennans in Mocorha Shrule Co Mayo, Ireland. However, no Cecilia. Marriage: William married Mae McCarthy on May 11, 1919 in NYC. Gerard Walsh, the son of William Walsh and Margaret McCarthy, born on October 24, 1926, was baptized in Blessed Virgin Mary Help of Christians Church 70-31 48th Avenue, Woodside, New York on November 7, 1926. The sponsors were Charles Walsh and May Crowley. Charles Walsh was William Walsh's brother. I believe that May Crowley was the daughter of Maggie Langan's sister Bridget and her husband James Crawley. A copy of Gerard's baptismal certificate was provided by Clare Esser, the daughter of Charles Walsh. Ken Walsh, a son of Gerald Walsh, wrote in June 2011. He said his father's middle name was Calixtus. For more information and photos go to William Walsh now or at the bottom of the page. Civil Record: Margaret Walsh was born on June 12, 1899 at 208 East 80th Street to Joseph Walsh, laborer, age 24, born in Ireland and Margaret Langan Walsh, age 23, born in Ireland. Margaret was third of three children. ( New York City Birth Certificate, 1899 #2230). Baptism: I have not found the baptismal record of Margaret Walsh. Marriage: Margaret married Louis Petersen, February, 1942, exact date unknown. I cannot access this record. Children: Margaret and Lou had no children. Margaret worked on Wall Street as a secretary for several brokerage houses. She became a minor New York celebrity in the mid 1960's when she fought "City Hall" to preserve "Historic Old New York" and prevent her little house at 16 Moore Street, which dated from before 1732, from being demolished to build new office buildings. For more information on Margaret Walsh Petersen go to Margaret Walsh Petersen now or at the bottom of the page. Civil Record: Isabelle Walsh was born on February 10, 1901 to Joseph Walsh and Maggie Langan. 1901 New York City Birth Certificate #7409 lists "Agnes Rosa Walsh", the daughter of Margaret Langan and Joseph Walsh, gardener, born on February 10, 1901 at 1433 2nd Avenue. She was the forth child of Margaret Langan. Who was Michael Flenery? It was a very common name in NYC. Marriage: Isabelle Walsh married Frank Goehle on February 6, 1921 at St. Nicholas Church, New York City. Paul, Date of birth unknown. Died as an infant. Further Information on Isabelle Walsh : Either go to the bottom ot the page or click on Frank Goehle now. Photos of the children of Isabelle and Frank Goehle: Either go to bottom of the page or click on Pictures of the children of Frank and Isabelle Goehle now. James Crowley was the husband of Maggie's sister, Delia (Bridget) Langan. Death: Joseph Walsh, the 22 month old son of Joseph and Margaret Walsh, both born in Ireland, died on October 26, 1904 at the Babies Hospital at 55th and Lexington. The cause of death was Pneumonia and meningitis due to Pneumococcus. He had been in the hospital for 2 days. The family's address was 196 E. 76th Street. Joseph was buried at Calvary Cemetery on October 29, 1904. Civil Record: Charles Walsh was born on August 13, 1904 to Joseph Walsh and Maggie Langan. The information on the date of birth was taken from Joseph Walsh's application for US citizenship and the baptismal record of Charles Walsh. I could not find Charles' birth certificate in either New York City or New Jersey. Most likely the birth occurred at home and was not reported. 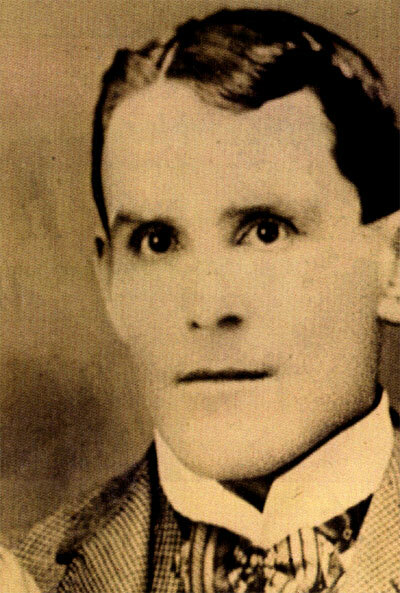 "Charles Walsh, child of Joseph Walsh and Maggie Langan, born in unknown, on the 13 day of August 1904, was baptized on the 21 day of August 1904 according to the Rite of the Roman Catholic Church by the Rev. Edward Cahill, in St Michaels' Roman Catholic Church, 800 Ocean Avenue, West End, New Jersey, the Rev. Edward Cahill, the sponsors being Michael We(a)lsh and Ellen We(a)lsh. as appears from the Baptismal Register at this Church". Information obtained from St Michael's by Mary Walsh Herdman and forwarded by Michael McEneney, January 2003. West End is a section of Long Branch. 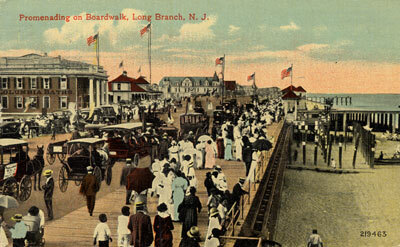 Long Branch was a popular seaside resort in Monmouth County from the 1830s. "My recollection is the Charlie's father was working the summer at the horse farm the family he worked for owned (or used) the year he was born." Ellen Walsh was Joseph's sister. Marriage: Charles Walsh married Catherine Foley on July 5, 1930 in Cambridge, Mass. Catherine was born in Cambridge, Mass. Charles was a pitcher for the minor leagues of the Pittsburgh Pirates from 1927- 1932. He worked for the New York City Fire Department for 30 years, retiring as a deputy chief. Either go to the bottom of the page or click on Charles Walsh now. Death: Charles Walsh, born August 13, 1904, died August 7, 1998 in the New Jersey. Social Security Number 127-30-5978. More on Edward P Anderson: For more information on Edward P Anderson go to Ellen Walsh Anderson now or at the bottom of the page. 1930 Census: 100th Street, Manhattan: Edward Anderson, rent $45, age 30, married at 25, immigrated in 1915, naturalized, cable placer, Helen, age 23, married at age 18, Alice, 2 and a half, Irene, age 1 mo. Death: According to the Social Security Death Index, Helen Anderson, born May 13, 1906, died October 1980, in North Las Vegas, NV 08903 (091-09-8294) The SS# was issued in New York State. For more information and photos go to Ellen Walsh Anderson now or at the bottom of the page. She does not know where her mother was baptized, nor who her godfather was. She said her mother often said the Julia Walsh was her godmother. Marriage: Agnes Walsh married John Lahiff on July 4, 1931. More on John Lahiff : For more information on John Lahiffs and the Lahiffs go to Agnes Walsh Lahiff now or at the bottom of the page. Death: According to the Social Security Death Index, Agnes Lahiff, born March 2, 1908 died February 1985 in Tucson, Arizona 85706 (090-24-4998). SS# issued in New York. For more information and photos go to Agnes Walsh Lahiff now or at the bottom of the page. 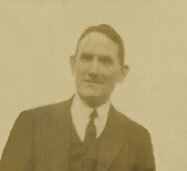 Civil Record: Joseph Walsh born on February 26, 1910 to Joseph Walsh and Maggie Langan. Public access to births in the New York City Archives only goes up to 1909, so I was unable to obtain this birth certificate. The date of Joseph's birth was taken from Joseph, Senior's naturalization papers. Thomas Walsh was Joseph's brother. Delia Langan was most likely Maggie's sister, Bridget (Delia) Langan Crowley. However, she was Delia Crowley by 1901, so I do not know why the maiden name would have been used. He had been employed by "Anna Walsh, mother sister of deceased". 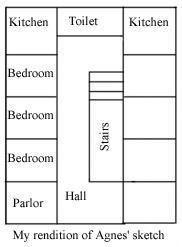 Permission was granted for the deceased to be move to the "home". Note: Manhattan State Hospital was a state mental hospital on Wards Island. It later became the Manhattan Psychiatric Center. For more information and photos go to Joseph Walsh (1909-1931) now or at the bottom of the page. Civil Record: George Walsh was born on March 18, 1913 to Joseph Walsh and Maggie Langan. George's birth certificate is also not in the public domain. The date of George's birth was taken from Joseph's naturalization papers. Not George M Walsh cert #15186 1933, Manhattan or Kings cert #13713 0r # 12687 both 1933. Death of George Walsh: According to the Social Security Death Index, George M Walsh, born March 18, 1913, died August 23, 1988 in Arlington, VT, 05250 (086-01-5749). SS# issued in New York. George Walsh, the uncle most close to me because he was near my mother's age and lived with us when I was a small boy: he was poor and single in the Depression, prowling the fancy Fieldstone district of Riverdale at night guarding mansions where he had made arrangements. He left our house each night after dark armed only with is flashlight, without uniform, gun or license, just a big red-headed New Yorker from the East Side who could do that and scare the thieves. He left the house to marry Margaret Broyles, a foreigner from another country (Brooklyn, I thing), and they had four children, Joseph, Michael, Mary Ellen and Marc. According to Martin, George Walsh and family lived in Sparta, New Jersey where George had an appliance business. For more information and photos go to George Walsh now or at the bottom of the page. A common naming pattern in Ireland was to name childre for their parents, grandparents, godparents and siblings. Maggie and Joseph did not name any of their children their children after their parents. There was no John after Joseph's father or Mathais after Maggie's father. There was no Fanny or Penelope. The two Josephs were named for their father and Margaret was named for her mother. Joseph did have a brother, William, and a sister, Ellen. When I mentioned something about the names to Peggie Edgar, she told me her mother, Isabelle Walsh Goehle, always said that Maggie and Joseph had named their children after kings and queens. This sounds good given names like Elizabeth, Ellenore, and Isabelle. However, I can't think of a queen named Agnes. The rest of the names are indeed the names of kings and queens. It is interesting that Maggie and Joseph named two of their daughter's Agnes. Agnes is the name recorded on the birth certificate of Isabelle in 1901. Why did they first choose Agnes and then settle on Isabel? They named a second daughter Agnes in 1908. It would be interesting to know why they chose the name not once, but twice. While Agnes was not a name that appeared in the Ballinrobe parish records all through the 1850s, 60s, 70s and 80s, it became a very popular name in the 1890s. Naming patterns change over time with different names going in and out of fashion. 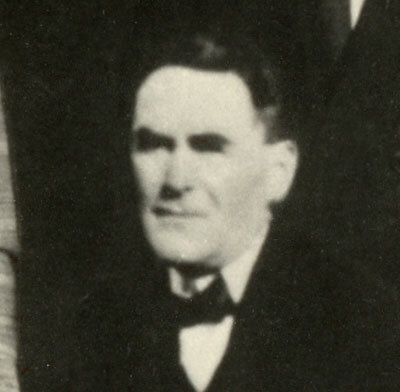 The photo was taken in 1923 when Joseph was 50 years old. Naturalization in the court that Joseph applied to occurred in three steps. The applicant filed a Declaration of Intention, which stated his intention to become a citizen. This paper could be filed anytime after the immigrant arrived in the US. After the five year residency requirement was met, the applicant went back and filed a Petition of Naturalization. A few days or weeks later, his application was either accepted and he became a citizen or it was denied. On the September 1, 1913 Declaration of Intention for Naturalization , Joseph Walsh provided the following information: age 43, occupation, coachman, color, white, complexion, fair, height , 5 feet 9 inches, hair color, brown, eye color, brown, born on April 8, 1874 in Mayo, Ireland, current address 202 East 73rd Street, immigrated to America on the British Princess, wife's name, Margaret. He renounced allegiance to George V, the King of Great Britain and Ireland. George, born March 18, 1913 in New York. His petition was witnessed on September 4th, 1918 by Annastatia Langen (sic), who listed her occupation as housewife and her address as 200 E. 78th Street and Thomas B. Walsh, who listed his occupation as Electrician and his address as 172 E. 74th Street. Joseph received his naturalization in the New York State Supreme Court, New York County on December 10, 1918, Certificate No. 921411. According to the laws before 1922, Margaret was automatically naturalized with him. Anastasia Langan was the wife of Maggie's brother, James Langan. Thomas B. Walsh was Joseph's brother. 1900 United States Census: The 1900 United States census lists the family of Joseph Walsh at 1326 3rd Avenue as follows; Joseph, head of family, born February 1875 in Ireland, age 25, immigrated in 1894, married for 5 years, working as a stableman. Maggie, wife, born November 1875 in Ireland, age 24, immigrated in 18901, mother of three children, three children still living. Lillie, daughter, born May 1896, age 4, William, son, born July 1897, age 2 and Maggie, daughter, born June 1899, age 11 months. All the children are listed as born in New York. Everyone of an appropriate age was listed as able to read and write. 1905 New York City Census: The 1905 New York City Census listed the family of Joseph Walsh at 196 East 76th Street as follows, Joseph, head, age 29, born in Ireland, in US for 10 years, alien, coachman, Margaret, wife, age 29, born in Ireland, in US for 14 years, alien, Lilly, age 9, citizen, Willy, age 8, citizen, Margaret, age 6, citizen, Isabella, age 4, citizen and Charley, age 9 months, citizen. 1910 United States Census: 1324 Third Avenue, Joseph Walsh head, age 35, 1st marriage, 15 years, born Ireland, immigrated 1894 Al, coachman private family, Margaret wife, age 34, 9 children 8 still living, born Ireland, immigrated 1889, Elizabeth daughter, age 13, William son, age 12, Margaret daughter, age 10, Isabelle, daughter age 9, Charles son age 5, Ellen daughter age 3 Agnes daughter age 2, Joseph son age 1 mo. 1920 United States Census: The 1920 U.S. Census lists the family of Joseph Walsh at 202 E. 73rd Street, New York as follows: Joseph, age 45 years, occupation, coachman for a private family, Margaret, age 44, born in Ireland, Isabella, age 18, born in New York, occupation, telephone operator for a Guarantee Trust Company, Charles, age 15, born in New York. Eleanore, age 13, born in New York, Joseph, age 10, born in New York, George, age 6, born in New York, Margaret, age 19, born in New York, occupation illegible, and Agnes, age 11, born in New York. Everyone except George, who was only 6 year old, was listed as able to read and write. Joseph and Maggie's mother tongue was listed as English. Maggie's year of immigration was listed as 1891. There are slightly conflicting dates for Maggie's immigration, ranging from 1889 to 1891, indicating that she was between 14 and 16 when she arrived in the States . Who did she immigrate with. Her older brothers, Patrick and Martin both immigrated. Did they all come at the same time? Peggie Goehle Edgar says Margaret worked for Post and Flag, a brokerage company, as a private secretary. With the advent of the automobile a private coachman must have been a thing of the past. Family history also says that Joseph Walsh had a "cab" in Central Park. His son, William, (Marilyn Walsh Krausch's father) used to bring the horses down from 89th Street and help his father harness them to the cab. Charles Walsh the son of Joseph and Maggie Walsh, was baptized on August 13, 1904 in West End, New Jersey. West End is a part of Long Branch. Mike McEneney recalls that Joseph Walsh worked on a horse farm the summer Charles was born. Clearly Maggie and the children were with him. Long Branch was one of the most glamorous summer resorts in the country. It had a racetrack and casinos. It was visited by eight presidents, major actors and actresses of the day, as well as many of the wealthiest families in the country. Winslow Homer painted there. Its cachet ended in the 1920s. Laws forbidding gambling hastened its demise. 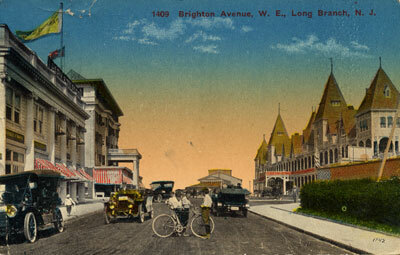 Promenading on Boardwalk, Long Branch, N.J.
1409 Brighton Ave. W. E. Long Branch, N. J. 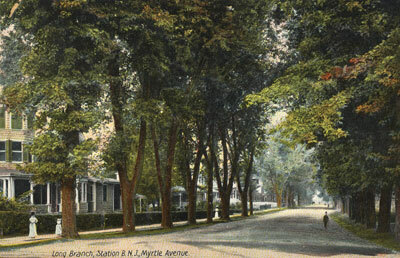 Dated 1908, mailed from West End, New Jersey. Joseph Walsh 202 E 73rd Street, New York, age 45, born April 1873, naturalized, _ Great Britain, labourer employee Mark Eidlitz, nearest relative, Margaret Walsh, of 202 E 73rd Street, height, medium, build medium, brown eyes, and brown hair. September 12, 1918. Marc Eidlitz and Sons was a construction company founded by Bohemian immigrant Marc Eidlitz (1826-1892). Marc's brother, Leopold Eidlitz (1823-1908), was a famous architect who designed many buildings in New York City. Marc, who immigrated in 1847, was a major building contractor who build the old Metropolitan Opera House, the Steinway Hall of the Astor Library, Broadway Tabernacle, the Presbyterian and St. Vincent's Hospitals and the private residences of J. Pierpont Morgan and Ogden Goelet . After Marc's death the company was continued by his sons, Otto marc and Robert J Eidlitz, who built Rockefeller Institute, the New York Stock Exchange, the Western Union Building, the Columbia Presbyterian Medical Center, the J.P. Morgan Library, the Federal Reserve Bank, the New York Academy of Medicine and the Frick Art Gallery, St. Regis Hotel, B. Altman's, Arnold Constable & Co., Lord & Taylor, J.P. Morgan Building on Wall Street, American Telephone & Telegraph Building (130 Broadway), and Bankers' Trust Building (14 Wall Street). In addition the firm build many private homes for the wealthy. Otto Marc Eidlitz was president of the company until his death in 1928. Robert J, who was educated as an architect in the Royal Polytechnic in Berlin, was an associate for the company. Otto Eidlitz in the censuses: Otto Marc Eidlitz, single, builder, listed in the 1900 Census Madison between 77 and 78th Streets with a housekeeper. 187 5th Ave RENTING in 1920, Otto Eidlitz, head age 59, contractor building, wife Annie, age 46, Etta Thomas, sister in law age 26, and a cook a laundress, a maid and a waitress. Otto Marc Eidlitz: IMPORTANT MEN OF NINETEEN-THIRTEEN: page 168 Name: Eidlitz, Otto Marc, Eidlitz, Otto Marc, builder; born New York City, Sept. 18, 1860; son of Marc and Mathilde (Sohr) Eidlitz; prepared for college, College City of New York; graduated, Cornell University, B.C.E., 1881; C.E., 1890; married Anna May Thomas of Ohio. Superintendent for Marc Eid-litz & Son, 1881-84; member of firm of Marc Eidlitz & Son, 1884-1900; head of the firm since 1892. Appointed tenement house commissioner, 1900, by Gov. Roosevelt; appointed commissioner by Gov. Hughes in 1909, on the Commission for Investigating Employers' Liability, Safety Appliances, and the Cause and Effect of Unemployment in the State of New York. Appointed in 1912 by Edward D. White, chief justice of the U.S., Martin A. Knapp, presiding judge of the Commerce Court, and Charles P. Neil, U.S. commissioner of labor, a member of the Board of Arbitration on the controversy between fifty-two railroads east of Chicago, and the Brotherhood of Locomotive Engineers. Director of the U.S. Mortar Supply Co., of the Colonial Assurance Co., The Mutual Bank, Germania Bank; trustee of the Bank for Savings; member of the American Society of Civil Engineers; member of the American Society Testing Materials, Executive Committee of the Civic Federation; fellow of the Fine Arts Society, National Geographical Society, Metropolitan Museum of Art; member of the New York Chamber of Commerce, American Museum of Natural History; president of the Mason Builders' Association of New York, 1900-04; chairman of the Board of Governors, Building Trades Employers' Association, 1903-05; member of the following clubs: Cornell University, Aldine, Transportation, Liederkranz, New York Athletic, Engineers', Lotos (New York); Chelsea Plantation, S.C.; Laurentian, Canada. D.U. Fraternity. "His father was a veterinarian. Joseph was the youngest of thirteen children. When his parents died he took what little money was willed to him and came to America, thinking he would make his fortune here. He was disappointed at the States and and always longed for Ireland. He thought the people rude and upstarts. He had a livery shop at 8th Street in Manhattan. He also gave riding lessons to the rich of New York. He loved horses. He played the piano well. I remember as a little girl of four being brought into the parlor by him to hear him play "Have you seen my new shoe?". He taught his grandchildren a little dance routine to go with the songs he played on the piano. He was about 6' 2" tall and very nice looking. He died when he was 55 from pneumonia, six months after my grandmother died." "My grandmother's maiden name was Margaret "Maggie" Langan. She was a farm girl. She died at 52 from a heart attack." "There was an entrance to the kitchen and one to the parlor. People shared the toilet in the hall with their neighbors. A toilet for every floor---. The building was four stories high." "All the families that lived in the house were Irish. It was really an Irish Ghetto. The whole neighborhood was Irish." There may have been 12 children in Joseph's family. I have only found birth records for 10 children but family tradition includes two more. He was the youngest son. However, he had at least three younger sisters. Joseph immigrated two years after the death of his mother and two months after the death of his father. Joseph already had at least two brothers in America at the time of his immigration. On his naturalization papers he described himself as 5 foot 9 inches. The address that Agnes gave is not in any of the records I have found for Joseph Walsh. This does not mean that he did not, at some point, live at that address. There is this persisted image of Maggie Langan Walsh as not being as cultured as the Walshes. Insinuations are that the Walshes were better educated and more sophisticated than the Langans. The Langans did spend some time on a farm on the Galway boarder where Maggie was born. But they also spent some time in the town of Ballinrobe and actually lived very near the Walshes. The Langan children most likely went to the same church run schools as the Walsh children. The Langans were bilingual and may have spoken Irish in preference to English. There political affiliations and political leanings may have been more Fennian Land League oriented. Maggie Langan Walsh showed very sophisticated taste in the Communion attire of her children. Margaret Walsh died on December 4, 1926. Her death certificate listed: Margaret Walsh, 119 East 89th Street, tenement, married, date of birth, November 5, 1875, age, 51 years and 1 month, housewife, born Ireland, in US 34 years, father's name, Mathew Langan, born in Ireland, mother's name, Margaret* Langan, born in Ireland, date of death, December 4, 1926, cause of death, chronic myocarditis, contributory, chronic parenchymatous nephritis, duration 5 years, last see by attending physician, December 4, 10:30 P.M.
*Note: Margaret's mother was Penelope AKA Nappy, not Margaret. She was buried in Calvary Cemetery on December 7, 1926. According to information provided by Calvary Cemetery, she was buried in section 19, range 12, plot HH, grave 2; a plot purchased by Joseph J. Walsh in 1904. I wrote to Calvery Cemetery in 1999 requesting an internment list. In reply, the telephoned me in June 1999. In that conversation, they told me that there were only two people buried in this plot, Margaret Walsh and Joseph Walsh. This is apparently not true. See the death of Joseph Walsh, senior below. Calvary cemetery is a Catholic Cemetery in Queens. It is owned by the Arch-diocese of New York and in terms of burials is the largest cemetery in the United States. Initially most burials were children of the Irish immigrants of the tenements in lower Manhattan. Calvary cemetery told me in a phone conversation in June 1999 that there were only two people buried in this plot - Margaret and Joseph. It turns out that there were five people buried in the plot. See below. 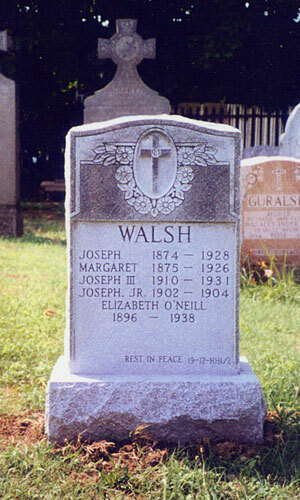 Joseph Walsh died on June 7, 1928. His death certificate listed: Joseph Walsh, name of institution, Presbyterian Hospital, married, date of birth, _____, age, 55 years, occupation, labourer, born in Ireland, in US 34 years, father, John Walsh, born in Ireland, mother, Fanny Sweeney, born in Ireland, usual address, 215 East 69th Street, date of death, June 7, 1928, ill from May 18, 1928, last seen by attending physician, June 7, 1928 about 6:30, cause of death, bi-lateral inguinal hernia, duration several years, contibutory, chronic alcoholism. Joseph was buried in Calvary Cemetery on June 11, 1928. Joseph's mother was Fanny Feeney, not Sweeney. Joseph may have suffered from "chronic alcoholism". On the other hand, I find the opinions of the educated Anglo-Americans of the times extremely prejudiced. Almost everything written by non-Irish about the Irish portray them all as dissolute characters, prone to drink and other bad habits. Four of the daughters of Charles Walsh, Mary Herdman, Agnes Riva, Clare Esser and Cathy McEneney, and Maria Lahiff Pedulla, the daughter of Agnes Walsh and John Lahiff, had a tombstone erected on the Walsh grave in May 2001. St Jean Baptiste parish was established in 1882 for the French-Canadian Catholics of New York. The first church was dedicated in 1884. As school was established in 1886. The present Renaissance style church was built in 1912 at a cost of $500,000. The widows were made in France. St Ignatius Loyola parish was founded in 1851. The current church designed by William Schickel Sr. was built in 1898 and has landmark status. It is located at 980 Park Avenue on the corner of 84th street. The church came under the auspicies of the Jesuits in 1866. Mosaics, made in Venice by Salviati, were installed at Christmas time 1913. In 1914 the church property was valued at $1,000,000. The church stood midway between the richest and one of the poorest neighborhoods in the city.